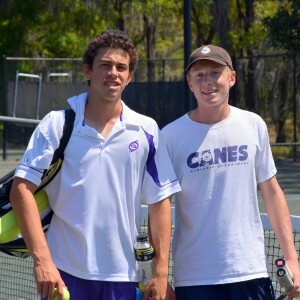 Published: Friday, April 11, 2014 at 6:01 a.m.
Last Modified: Thursday, April 10, 2014 at 6:35 p.m.
Area tennis player I would pay to watch play: My partner (at No. 1 doubles), Jacob Gordon. He’s got a big first serve, and he fights. That one-handed backhand, when he gets in it, is pretty sweet. Best movie I’ve ever seen: “The Intouchables” (a 2011 French film). Dinner on an ideal night? Leonardo’s 706. Easiest class or part of my school day: Ms. Paxson’s environmental science. Feeling I had after winning the District 3-3A title last week in my first year as Gainesville High’s No. 1 singles player: It means a lot. I just felt like it was my time to step up to the plate and perform. Greatest tennis player in the world right now? Roger Federer. Hoisting the state championship trophy as an individual competitor at the Class 3A state finals next Friday in Altamonte Springs will take … Focus. That’s going to be the main thing. I’m going to have to work for every point, limit my unforced errors and keep my feet going. NOTE: Slaton won two state titles as the Hurricanes’ No. 3 singles player in his sophomore and junior seasons. Interesting thing about me off the court: I’ve played piano since fifth grade. Joker on the team? Definitely Jake Gordon, without a doubt. He adds funny comments, and he doesn’t laugh at his own jokes, which makes it even funnier. 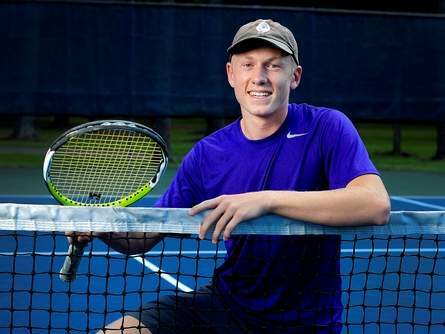 The last time Oak Hall boys tennis reached the state tournament, Logan Blaser was 9 years old and had only played tennis about a year. Now, the junior No. 2, along with standout eighth-grade twins Grey and Harry Cacciatore, Brandon Cooke and Nash Dean will be making the trip next week, eight years since the last time John Dickinson and Tom Simpson’s crew reached the ultimate goal in 2006. On its home court on Thursday, Oak Hall defeated Jacksonville Episcopal 5-2, sweeping the top three singles and both doubles for the historic win. The Eagles join Eastside’s boys and P.K. Yonge’s girls, both of whom will be making their third straight trip to state next week in Seminole County. Harry Cacciatore got things started for Oak Hall, beating Davis Walker of Episcopal at No. 3 singles, 6-1, 6-3. His brother Grey soon followed, running Sean Halloran ragged in his 6-2, 6-1 victory at No. 1, and Blaser finished off with Sid Yarlagadda soon after at No. 3 singles, 6-2, 6-1. After Cooke and Dean fell in No. 4 and No. 5 singles, it came down to doubles, where Oak Hall only needed to win one of the two matches. They ended up winning both. But it was Harry Cacciatore and Cooke that clinched it at No. 2 doubles, beating Ross Clements and Walter Wood, 6-1, 6-3. Grey Cacciatore and Blaser rallied after losing the first set to top Walker and Charlie Conway, 4-6, 6-3, 6-3. “It is a great feeling going to state, knowing we worked the entire year to do it,” Cooke said. Oak Hall will be one of eight teams competing in the 1A boys state tournament, which opens on Wednesday at Red Bug Lake Park in Casselberry. Grey Cacciatore, who was heading to state as district champion at No. 1, is happier to be going with his team. Sophomore Nash Dean, Oak Hall’s No. 5 singles player, is excited about traveling to the big event. REGION 3-2A BOYS: Eastside won four of five singles and both doubles to down Orlando Bishop Moore convincingly, 6-1, at Sanlando Park in Altamonte Springs, earning the Rams their third straight trip to state. Picking up singles wins were Benjamin Brandt (No. 2), Maxwell Curtis (No. 3), Hyunsoo Joo (No. 4) and Samuel Lockey (No. 5). 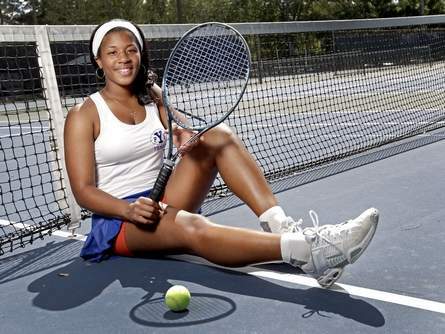 Camille Kima lost the only three-set match of the day in falling to Bishop Moore’s Jack Hoy at No. 1. Curtis and Joo, along with Brandt and Derek Li, respectively, won both the No. 1 and No. 2 doubles for the Rams, who open state tournament competition Monday at Red Bug Lake Park in Casselberry. REGION 2-1A GIRLS: P.K. Yonge earned its third straight trip to state with a 4-2 win over Jacksonville Episcopal at Jonesville Tennis Center. The Blue Wave picked up three singles victories and one doubles to clinch it. The biggest singles win was by freshman Marcela Ifju at No. 2, rallying after dropping her second set to Danielle Corbin 2-6 and turning it around, winning the decisive third set 6-2. Senior Kiah Turner cruised at No. 1, beating Taryn Petersen, 6-0, 6-0. Daniela Ifju, a seventh-grader, defeated Bianca Cornthwaite of Episcopal at No. 4, 6-3, 6-3. The No. 1 doubles team of Turner and Madison Sagas easily won their match in straight sets. The Blue Wave open the 1A state tournament on Wednesday at Red Bug Lake Park in Casselberry. REGION 1-4A GIRLS: Buchholz fell at Port Orange Spruce Creek, 4-1, as the Hawks won three singles and No. 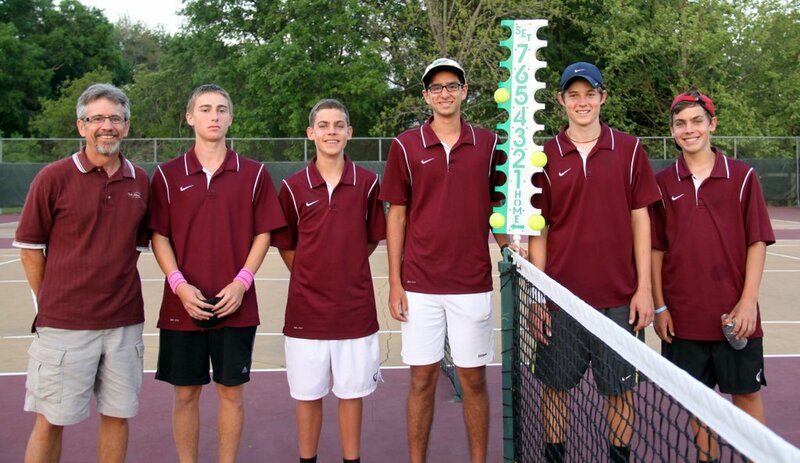 1 doubles to clinch their ninth trip to state in the last 10 years. Bobcats sophomore No. 1 Kendal Wilby, who fell to Spruce Creek senior Meghan Zimmer, advances to state as an individual by winning No. 1 singles at districts. REGION 3-2A GIRLS: Eastside’s sophomore No. 1 Emily Louie-Meadors won her match, but the Rams lost the remaining four singles matches to fall at Orlando Lake Highland Prep, 4-1, in the regional finals, denying them a second straight trip to state. Louie-Meadors will go to state as an individual by winning No. 1 singles at districts. Published: Saturday, June 1, 2013 at 6:01 a.m. While Wilby has excelled from an early age on the tennis court, her family background is steeped in the swimming pool. Both of Wilby’s parents are former University of Kentucky swimmers. Her father, Martyn Wilby, is an associate head coach with the UF men’s and women’s swimming and diving teams, while her mother, Jill Wilby, currently helps run the Gator Swim Club. Before he could win a state championship, Zach Goldberg had to first edge one of his teammates in a position battle. The 6-foot, 150-pound Goldberg entered his final season at Gainesville unsure whether he or fellow senior Cole Fiegel would hold the mantle as the team’s No. 1 singles player this year. While Goldberg ultimately won the job back for the first time since his sophomore year, he used the preseason competition to spark the Hurricanes on a torrid run through the Class 3A ranks. Goldberg — who lost just once this year — advanced to the state championship match for the fourth straight season where he claimed the Class 3A No. 1 team singles title. Behind Goldberg’s individual championship, and runner-up result in No. 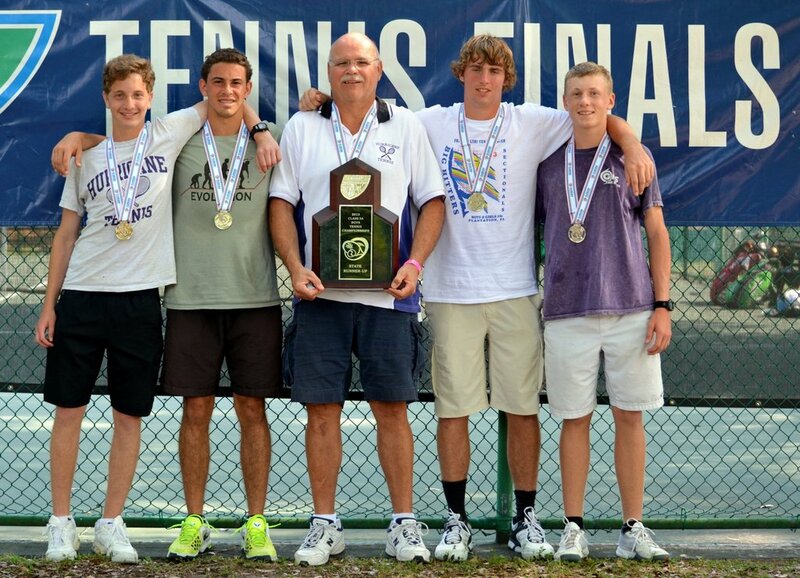 1 doubles with Peter Slaton, Gainesville finished second overall at the Class 3A state meet behind two-time defending champion Naples Barron Collier. Goldberg reeled off 22 straight wins this season — including District 5-3A and Region 3-3A title victories — before losing in the overall state singles title match to No. 1 individual champion Dan Stefan of Boca Ciega. 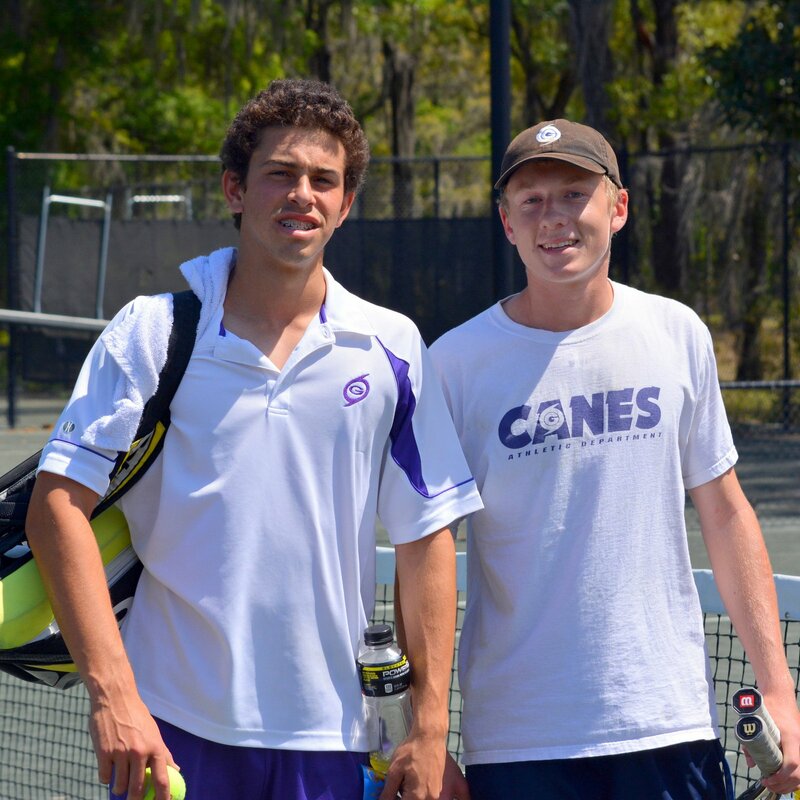 Goldberg, who was the Sun’s 2011 Boys Tennis Player of the Year, signed last November to play tennis at the University of North Florida. He plans to major in exercise science. Along with his daily training routine, Goldberg said he wants to play in as many adult tournaments as possible this summer to prepare for college, beginning with a Futures tournament in Melbourne from June 10-16. 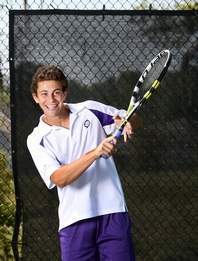 Area tennis player I would pay to watch play: Zach Goldberg (Gainesville). He’s a good player. He’s a very good competitor, and I enjoy watching him play. Dinner on an ideal night? Moe’s. Easiest class or part of my school day: Lunch. Favorite tournament to watch — U.S. Open, Wimbledon, French Open or Australian Open? U.S. Open. Because it’s here in the states. Greatest tennis player in the world right now? Serena Williams. Hoisting the state championship trophy this season will take … A lot of hard work. Last year was my first time going to state and not bringing back anything. Interesting thing about me off the court: I like to hang out with my family. Joker on the team? Maddie Sagas. She’s just silly in general. She will blurt out the weirdest stuff. Key to having a good serve is … The toss. Least favorite P.K. Yonge sports moment? Losing a match to Eastside in February. My ultimate goal as a tennis player is to … Win all four slams. One person in my life who inspires me most: My older brother Van Turner. Potential college major? I’m undecided on that. I really don’t know. I think about it all the time. Quiet time activity? Listen to music. I like R&B. Reading the newspaper or going online to get my high school sports coverage? In print. Service ace, forehand winner, backhand winner or an overhead smash to win a match? All of the above. Transitioning back to playing doubles with teammate Jazz Whittaker this season after taking a year off has been …Not that hard. (As a) matter of fact we have played (together before), and we have such good chemistry with one another for two years. University or college choice? I want to go to the University of Florida. Van Turner’s shooting stroke or Kiah Turner’s tennis swing — which Blue Wave sibling has better form? Most definitely my tennis swing. But we both have our flaws and our strengths. Winning the District 4-1A championship and the Region 2-1A title in No. 2 singles, No. 1 doubles and as a team has been … Not much of a change. We have won districts the past six years, and it’s really not anything new to us. But getting past regionals was great. It feels really good right now. We just need to keep our mind focused and have our head in the game for regional finals. Xbox, PlayStation or Wii? We actually have a Wii and a PlayStation. My dad got them for my brother and I for Christmas, but my brother just keeps it in his room. I don’t really play it. Year I was born: 1996. Zoo animal I like most: Koala bear. Gainesville High boys tennis team did what was expected of them Thursday, making quick work of Ocala Forest at Northeast Park in the Region 3-3A finals. The state title-contending Hurricanes did just that before rain took over. 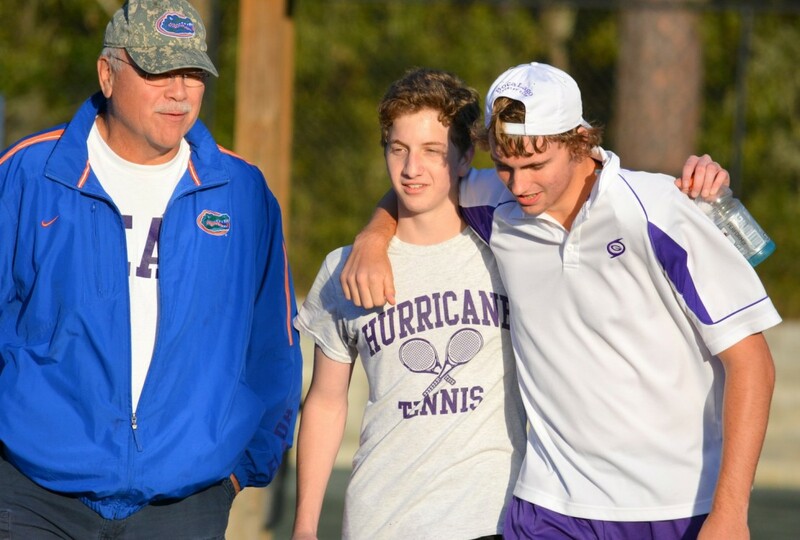 Gainesville’s Zach Goldberg, Cole Fiegel, Pete Slaton and Jacob Gordon — the team’s top four singles players — gave up just one game between them in posting convincing wins and sending the Hurricanes to their third straight state tournament, beating Forest 4-0. GHS, unbeaten in the regular season, looked plenty ready early on against the Wildcats. Fiegel, at No. 2, defeated Nick Wigelsworth, 6-0, 6-0, then Slaton, at No. 3, disposed of Palmer Lovell, 6-0, 6-0, and No. 1 Goldberg beat Philip Libby, 6-1, 6-0. Just before an hour elapsed in the match, Gordon, at No. 4, finished off Mark Debolt, 6-0, 6-0, to clinch the match. First-round matches at the 3A state tournament, which will be played at Sanlando Park in Altamonte Springs, start at 8 a.m.
For the first time since 2005, the Eastside girls tennis team earned a state tournament berth after a 6-1 win over Belleview in the Region 3-2A finals at Northside Park. Like the Rams did in winning District 5 last week, Eastside won every match but the No. 2 doubles. Freshman Emily Louie-Meadors continued her impressive postseason, posting another shutout in No. 1 singles with a 6-0, 6-0 win over Belleview’s Lauren Bitter. At No. 2 singles, junior Alexandra Sourakov defeated Sarah Perkins (6-1, 7-6), who was sidelined a bit after injuring her ankle. Also picking up singles wins for the Rams were Toni Veltcheva, Murielle LeMaire and Angi Liu. The No. 1 doubles team of Louie-Medors and Sourakov won by injury default because Perkins couldn’t play. A year ago, the Rams lost to 4-3 to Dade City Pasco in the regional semifinals. The Rams open Class 2A state tournament play on Wednesday morning at Red Bug Lake Park in Casselberry. For the second straight season, P.K. Yonge girls tennis team will be returning to the state 1A tournament after a 4-2 win at Jacksonville Episcopal in the Region 2 final. Blue Wave coach Robert Taylor credits the No. 4 singles win by eighth grader Madison Sagas — 4-6, 6-2, 6-3 over Eagles junior Catherine Lee — as the turning point in the match. That point broke a 2-2 tie, and the No. 1 doubles team of Jazz Whittaker and Kiah Turner clinched it with a convincing 6-2, 6-1 win. Both Whittaker and Turner also had wins in singles. The Blue Wave start their state tournament on Monday at Red Bug Lake Park in Casselberry. The Eastside High School boys tennis team started Thursday afternoon as ground crew members at Jonesville Tennis Center. 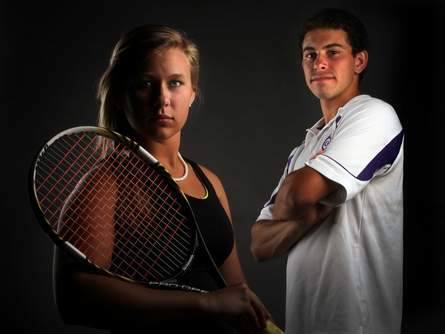 Come evening time they were once again state finalists and part of area prep history — one of four Gainesville tennis teams to advance to the state finals. Afternoon showers delayed Eastside’s regional finals matchup against Dade City Pasco nearly three hours. If the matches were going to get in, coach Dave Porter and his Rams would have to make the green clay playable. That meant drying the courts with towels before a single ball could be served. Eastside’s No. 1, Hyunsoo Joo, had to work the hardest. Joo went three sets against Pasco’s No.1 Austin Riddaugh. After taking the first set 6-2, Joo lost the second 4-6. In the pivotal third set, the Rams’ top player won 6-4. In the battle of No. 2s — EHS’ Samuel Cockey and Josh Mooris — Cockey won 6-1, 6-3. Camille Kima, the Rams No. 3, won his match 6-2, 6-0 against Alex Mitchell. Maxwell Curtis, Tabong Kima and Evan Robins were also winners for Eastside, which won the match 6-1. The Class 2A state finals begin Wednesday. The team competition takes place at Red Bug Lake Park in Casselberry. To say the Buchholz girls tennis team cruised through the District 1-4A tournament would be an understatement. The Bobcats simply and completely dominated it. Buchholz won all 21 matches played in the tournament, sweeping the singles and doubles titles on its courts to claim a 12th league title in the last 13 years, totaling a perfect 21 points, well ahead of second-place finisher Fleming Island (11). The Bobcats, a perfect 10-0 in the regular season, got singles titles from Kendal Wilby, Courtney Cribb, Lauren Blakely, Lillie Mehan and Maggie Bethea. Buchholz also swept the doubles with Jessica Vesely and Brianne Wright pulling out a three-set win over Taylor Cowart and Hannah Webster of Tallahassee Chiles in No. 2. With the victory, Buchholz advances to next Tuesday’s regionals, which it will host Spruce Creek on the Bobcats’ courts at 3 p.m. Cribbs said the team has never advanced beyond the regionals during her 13 years as coach. In boys, Buchholz finished fourth at district. Minki Jun fell to Stephen Wang of Tallahassee Chiles, 6-4, 6-2, in the finals at No. 3, and Jun and Peyton Nimmons lost in the finals of the No. 2 doubles to Pablo Romany and Wang, 6-3, 6-4. 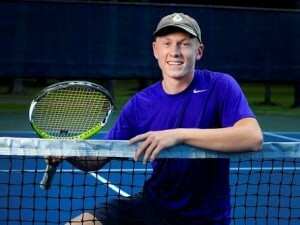 A rea tennis player I would pay to watch play: (GHS senior) Cole Fiegel. He’s a great competitor, he gives a lot of effort and it’s fun to watch him. B est sports movie I’ve ever seen: The Waterboy. D inner on an ideal night? Chipotle. E asiest class or part of my school day: Government and Economics. We have an awesome teacher, and it’s a lot of fun. F orehand winner, service ace, backhand winner or an overhead smash to win a match? Ace. G reatest tennis player in the world right now? Roger Federer. Hoisting the state championship trophy this season will take… playing well as a team, everyone showing up and playing like they can. I nteresting thing about me off the court: I’ve played violin since I was 4. J oker on the team? Jacob Gordon. Coach Spradling says something, and he just shoots it back at him. K ey to having a good serve is… keeping your left arm up and your eye on the ball. L east favorite Gainesville sports moment? Last year, losing at state (in the No. 2 singles finals). M y ultimate goal as a tennis player is to… play four years in college and hopefully play professional tennis. O ne person in my life who inspires me most: My dad. P otential college major? Exercise Science. Q uiet time activity? Watch TV. R eading the newspaper or going online to get my high school sports coverage? Read the newspaper. S igning last November with North Florida to play collegiate tennis was an easy decision because the Ospreys have… Great facilities, great coaches and a great team. It’s a great environment also — a lot of outdoors and stuff. T ransitioning back to playing No. 1 singles for GHS this year after being the No. 2 singles player last season was… exciting because it was nice to play No. 2 last year and to let Cole play No. 1. He was playing well, but it was nice to be playing well and to get back the No. 1. U.S. Open, Wimbledon, French Open, Australian Open — my favorite tournament to watch is… Wimbledon. It’s the oldest grand slam, and it’s the classiest. And also it’s the most fun to watch because of the serving and volleying. There’s a lot more aggressive play. V acation spot I love: The beach. Moraira in Spain. W inning the District 5-3A championship in No. 1 singles, No. 1 doubles with Peter Slaton and as team on Tuesday was… exhilarating. We’ve been practicing a little bit, and we played really well together. X box, PlayStation or Wii? PlayStation. Y ear I was born: 1994. Z oo animal I like most: Gorilla.